A huggable and lovable internet webcam! In-stock items are normally shipped within 24-48 hours on business days. For special handling or overnight shipping, please call us at 281-664-1209. Fill the form below to keep updated on price changes, product specials, firmware updates, etc. No longer does a webcam have to be cold and round! AmperorDirect introduces 'Ham Friends' lovable, huggable, and utterly "cuteable" stuffed animal webcam. The pint size webcam (about 6" tall) is the perfect gift for animal lovers or your girl friend. Besides being incredibly cute, this webcam can serve an important purpose -- protecting your children and home/office valuables. Made to look like a normal stuffed animal, this webcam provides video security to your home or office. Note: Image above shows Packaging Material - Makes a great gift! Note: This is 100% authentic 'Ham Friends' Internet webcam. If you have a webcam you can set up a Skype security (or observation) application easily. Computers with Skype (version 2.5 or higher) installed and broadband access on both “home” and “away” locations. A webcam installed on the “home” computer correctly, and pointed at the subject/area you want to monitor. 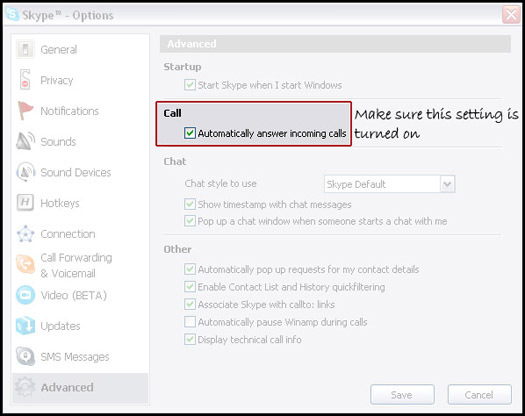 On the “home” computer, go to Skype > Tools > Options > Advanced > Call, and activate the “Automatically answer incoming calls” function. 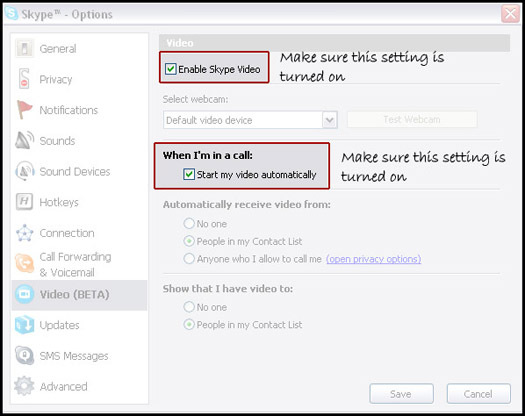 Then, call the “home” computer through Skype from your remote access “away” computer. The Skype call will be picked up automatically, the webcam will turn on, and the live capture video will be sent to your "away" computer screen. By this point you might have this in mind: You want to have the Skype security cam always on. But, you still want to be able to receive other Skype incoming calls. No problem. 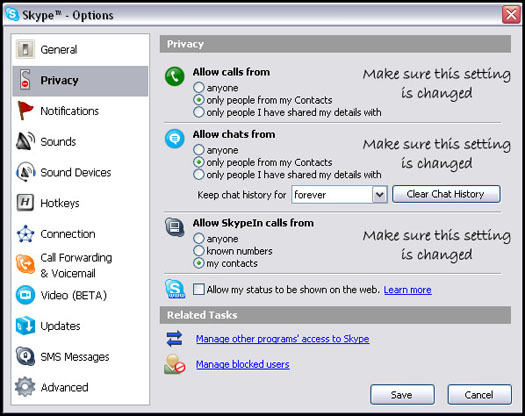 You can activate multiple Skype accounts or sessions at the same time on a Windows XP machine. See the instructions here. You can set up a new Skype account dedicated to working with the security application, and you can have your personal Skype account open to other incoming calls at the same time. IMPORTANT NOTE: PLEASE KEEP YOUR SKYPE IDS FOR VIDEO SECURITY/OBSERVATION LIMITED TO THOSE SKYPE USERS YOU KNOW. SEE BELOW ON HOW TO LIMIT CALLS IN.